Syncron , an aftermarket service optimisation company, has announced that Manitou Group, a world leader in all-terrain material handling, has selected its Inventory Management software to optimise its network of more than 1,400 dealers in 140 countries. Syncron’s Inventory Management system provides a central approach to managing inventory, which gives companies the ability to plan across the entire supply chain to optimise and right-size inventory. Manitou began using Inventory Management earlier this year in the main global distribution warehouse located in Ancenis, France. Implementation for its regional warehouse in the United States is scheduled for completion in January 2016; the company’s remaining six regional warehouses will follow shortly thereafter. 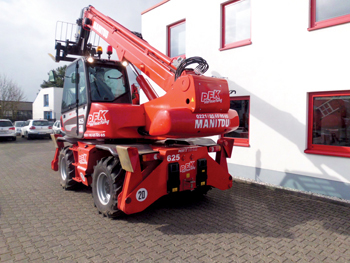 As a second phase, the solution will be rolled out to all Manitou dealers. Ultimately, Syncron’s Inventory Management will act as a single tool providing Manitou complete global supply chain visibility and optimisation. Syncron Inventory Management will contribute to the improvement of the efficiency of Manitou›s stock management. It will even manage slow moving and erratic parts in a more efficient way when the pattern of demand is difficult to predict. This will lead to a reduction in excess inventory as well as improvement in the availability of parts. Initial results from the implementation in Ancenis indicate a potential 30 per cent reduction in inventory alongside an increase in availability between 10-15 per cent. Syncron has 10 offices in Europe, Asia, the Middle East and the Americas.